Wrap your little one in soft luxury with this Waverly Pomp Spa Plush Baby Blanket by Trend Lab. 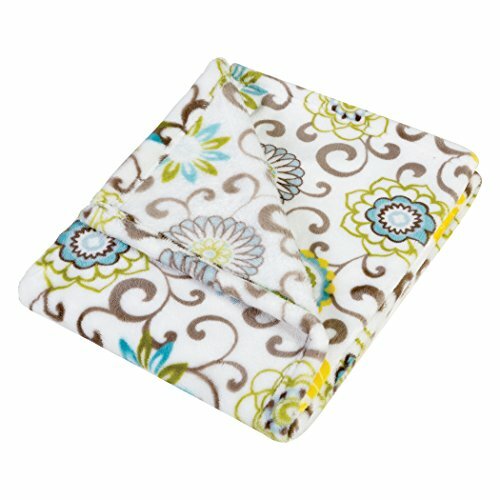 The super soft blanket features the Pomp Spa floral print in sterling blue, green and gray with pops of yellow on a white background. Blanket measures 30 in x 40 in. Please adhere to JPMA's Safe Infant Bedding Practices.